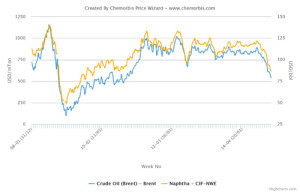 Players in major polyolefins markets including China, Turkey, Egypt and Europe generally report lethargic trading activities, according to ChemOrbis.This is partially attributed to Ramadan in Muslim countries which started on Thursday to be followed by a holiday one month later. Comfortable supply is a pressure point in Asia for PP, while lower production costs weakened expectations in Europe. Several players concur that PP markets are relatively more bearish in comparison to PE with some justifying reasons. In China, import PP prices drew back for another week amidst restricted demand and sufficient local supply which helped domestic homo-PP cargoes regain some premium over imports. An increasing volume of Chinese coal based exports are appearing in the nearby Southeast Asian market at the lower end of the overall import homo PP range. The country saw a noteworthy volume of PP capacities added during the first half of 2014, above 4 million tons including coal based and conventional types, against comparatively modest new PE additions. Several players in Southeast Asia report that coal based Chinese PP raffia is offered to the region which confirms reports that Chinese sellers are looking for export opportunities as the country moves closer to self-sufficiency in PP production. However, no Chinese PE cargos were reported region wide. Players opine that PP is on a clearer bearish path with some buyers expecting to see $50-100/ton reductions, while PE prices may also see notable reductions in July. “Korean PE sellers seem to be cutting output in order to avoid significant discounts. Players are not engaging in replenishment and even if they do, current offers are for cargos due to arrive by August-September,” a converter commented. In Egypt, the start of Ramadan has exerted an additional weight on the polyolefins market, according to players in the country. More price cuts are on the horizon in tandem with global markets, comments say, while the PP outlook is described as relatively weaker compared to PE. On the supply side, the local producer EPPC is planning to restart its PP plant by July after shutting it in late May. Players reported that they can obtain satisfying quota amounts of all grades of HDPE from the local producer SIDPEC. Spot PP prices in Italy were revised down following corrections on the upper ends last week given resistance from buyers. 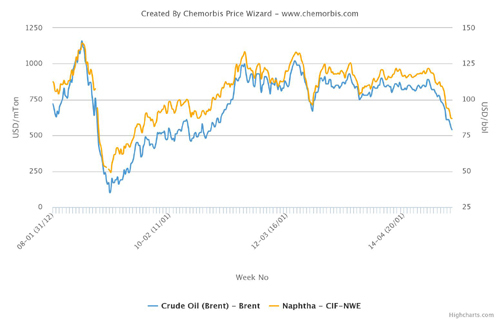 Price ranges declined €20-60/ton while July expectations emerged for lower offers on lower naphtha costs and upcoming summer holidays despite still tight supplies, according to ChemOrbis. For PE, players expect to see a stabilization next month as the sentiment is not as bearish as PP. Spot PE ranges lost €20-30/ton week over week in Italy after sellers trimmed their previous hike requests.